On November 29, 2018, heads of Allied Civilian, Military, Intelligence and Security Organizations met at NATO's Brussels Headquarters for talks on countering disinformation, cyber-attacks and traditional espionage means. The conference was inaugurated by Secretary General Jens Stoltenberg, together with the Romanian Chair of NATO's Civilian Intelligence Committee and the Canadian Chair of the Military Intelligence Committee. 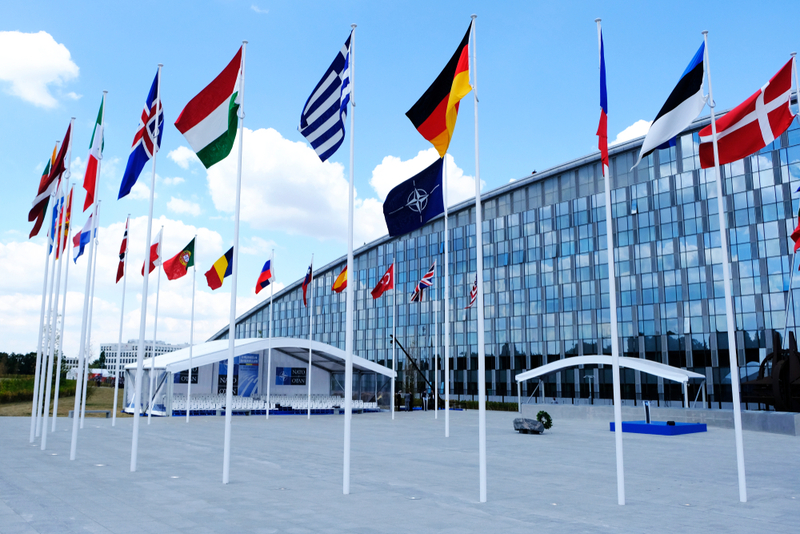 Allied intelligence officials approved the framework for establishment of a NATO Intelligence Academy and held talks with partner agencies and the European Union representatives about emerging technologies impacting on intelligence, as well as about NATO - EU cooperation. This website is optimized for browsers with HTML5 and CSS3 capabilities.. Address: 14 Libertăţii Boulevard, 5th District, Bucharest or PO Box 1 – 925 Bucharest. You can contact the Citizen Relations Office to submit petitions in accordance with the Government Ordinance 27/2002 regulating the solving of petitions, with subsequent amendments and additions, as well as submit requests in accordance with the Law 544/2001 on the free access to information of public interest, with subsequent amendments and additions. The Press Office and the Spokesperson represent the SRI interface with representatives of media and public. They ensure the flow of public information to the media in all situations involving SRI's activity. In order to correctly inform the public, the Press Office releases to media materials on current topics of interest, relevant to our line of activity. Depending on the nature and amount of requested information, in accordance with the Law 544/2001 on the free access to information of public interest, the Press Office will reply verbally or in writing to all SRI-accredited journalists’ requests, without discrimination and as soon as possible. Journalists may submit requests for accreditation to the email address presa@sri.ro. This should include the request for accreditation and copies of the ID cards, passport and updated press pass. Please find below the phone numbers, email address and the address of the SRI Press Office. SRI’s higher education institution that trains intelligence officers, analysts and experts. Find more about the Mihai Viteazul National Intelligence Academy. Citizens can call to alert us on suspicious events that could generate terrorist actions. The line is operating 24/7. Since March 20th, 2004 a free of charge phone no. – TELVERDE 0800.800.100 is available at SRI’s Antiterrorist Operational Coordination Center (CCOA). Citizens can call and notify about possible terrorist risks. Operators will attend calls 24/7. In case you suspect a potential terrorist risk, please call our toll-free line on 0800800100 .